← Should I feel guilty if they’re not? Wouldn’t you like to be a muppet too? If I were a muppet, I would be Beaker. I’m not saying that would be my choice, I’m just saying if I were to fall through an Enchanted-esque magical hole and re-surface on the other side in some kind of Muppet World, Beaker is who I’d show up as. Poor Beaker. He knows that whatever that kook, Dr. Bunsen Honeydew (admittedly, Dr. Honeydew is sometimes played by me in some kind of crazy one-woman show) is cooking up is going to blow up right in Beaker’s face. And then Beaker has to run around with his hair on fire, shrieking in his singularly inarticulate way. I know, you’re thinking, “Hmmmm. Christina’s a performer, why wouldn’t she show up as Miss Piggy?” Sadly, I lack her chutzpah and confidence in her ability even the times when all evidence runs to the contrary. At my first voice squeak or line fumble, I give it all up for lost. No really, you go. You’re way better looking, sound better, better actor. Nope, for better or for worse, I’m Beaker. 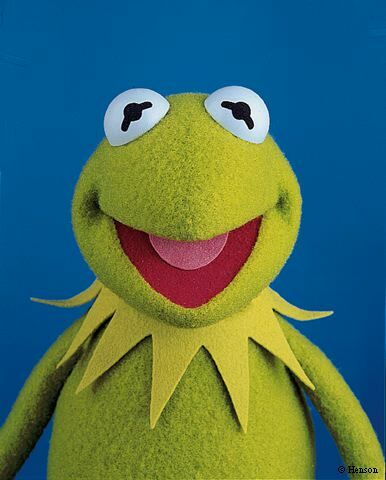 Actually, on a good day, I might be a little Kermit-y–a dreamer, a little bewildered by all the crazies that seem to surround him (not you of course), trying to run his little show all the while dealing with snipers in the balcony and fragile egos backstage. If you were to fall through the Enchanted-esque hole into Muppet World, who would you show up as? Here’s the deal. I’ll add the pictures to this post as I get comments claiming a muppet character as your own. Colleen claims the Yip Yips. In honour of your own computer woes. You have to watch this just to see the yip yips bring a little offering to the computer. Classic! I notice a trend towards “I’m a lot of this muppet but also a little of this one.” Interesting. Update 4: A late player, but always welcome. Ian chooses Beaker (yay! another Beaker), but also a little Fozzie Bear. There’s no test to verify your choice Ian. You get to choose and that is validation enough. This entry was posted in Aliens and uncharted planets, Observatory, Sun and tagged Humor, life, muppets, personality. Bookmark the permalink. 5 Responses to Wouldn’t you like to be a muppet too? If I’m within 10 feet of any of my children, then I would be one of those “Yip Yip” martian muppets. They don’t seem to understand a word I say. I’ve always related to Gonzo. Big ideas, bad follow through. I feel that my luck quotient equals his. My nose isn’t quite as large. And I think I scream like him too. A lot some days……especially when my kids don’t understand YIPyipyipyipyipyipyipyipyipyip. Maybe it’s just a wish to be a wee bit taller. But really, honestly, I think people are scared of me when they see me walking down the street, glowering and stomping away. I’m nice, I promise! “I love you guys!” is my personal mantra, next to “Somebody needs a hug!” And I’m a women of contradictions and many oppositions (indescision, perhaps?) 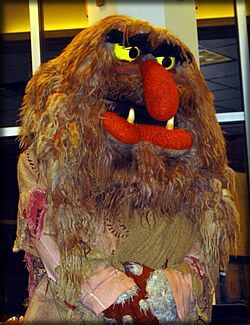 You can’t get anymore contradictory than a scary, large beast with a name like Sweetums. And he really does love everybody. I’ve always been drawn to Gentle Giants. 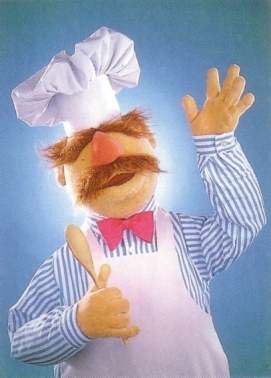 If I can’t be Sweetums, then the Swedish Chef. I love his way of haphazard cooking. And maybe Christina, you should make a side-note: Everybody has a little Animal in them. That’s my belief anyways. Absolutely Cookie Monster. I realise that he’s more of the Sesame Street version of muppets, but he’s my guy. How can you not love him, I ask you? He enjoys the finer things in life, and knows how to truly appreciate a good cookie. Eat as much as you can, as quickly as you can, that’s my motto. Eat it before your toddler gets to it first. Beaker. Inarticulate and panic-stricken. Maybe some Fozzie, what with ‘trying too hard and getting glum upon occasion. Is there a test somewhere? I’d love to have some more Gonzo, though.